For Episode #3 of the Frictionless Innkeeper podcast series, we speak with Jim Belote, the owner of The Beall Mansion in the St. Louis region, about what it takes to operate an award-winning B&B. You can also listen to the podcast on blogtalkradio. 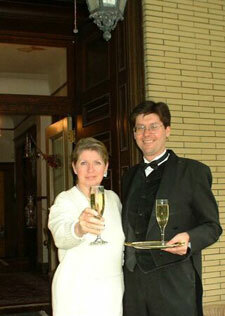 Being named one of the top B&Bs in the U.S. is an accolade that most property owners strive to achieve. The Beall Mansion, an Elegant Bed & Breakfast Inn, is the prime example of a B&B that continually tops these types of annual lists. Recently, HotelsCombined awarded the property the 2018 HotelsCombined Recognition of Excellence, which is based on achieving the highest rankings on customer satisfaction through customer opinions online. Based on an analysis of more than 1,000,000 hotels worldwide, The Beall Mansion scored a 10 out of 10, representing the top 3 percent of accommodations worldwide for customer satisfaction. Previous 2018 Beall Mansion honors and awards include the TripAdvisor Certificate of Excellence, TripAdvisor Hall of Fame, 50 Best B&Bs in America, and the Best B&B in Illinois (according to The Daily Meal). We would like to thank Jim for sharing his insights into the secrets of guest satisfaction. You can learn more about The Beall Mansion by visiting their website.